Prices from €5000 and more for a webClip of a few minutes, as is largely common today, prohibit the ordering of own videos by most small and medium enterprrises (SME). With creative approaches, Clipessence offers appealing webClips to its partners generally for around €500. In addition, these low price allow larger organisations the ordering of a series of videos instead of just one, with the corresponding ranking benefits. Organisations with geograpically distributed representations or customers often need professional photo shootings at different locations for attractive prices, but with a peristent look-and-feel. Because there was no corresponding offering in the market, Clipessence has filled the gap, including virtual photo tours. These low rates are made possible by a consistent product approach. Together with partners, we conceive webClip series or photo shootings that minimise production costs without compromising quality. Thereby, we are assisted by new technologies and computer-based processes. We operate an own international network of video journalists and photographers who can work extremely efficiently and at regular market fees as a result of the product approach. Negotiations with partners are characterised by keeping production costs and thus prices as low as possible. Clipessence was founded in autumn 2010 in Berlin. 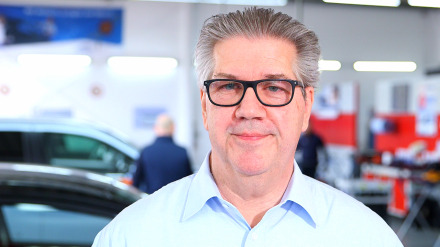 Owner and Managing Director Ulf Beyschlag as well as other key Clipessence employees have many years of experience in video production, above all in the low-price segment. At Cityguide International (Switzerland), Ulf Beyschlag was responsible for business development and for the productions in Germany. As co-founder and partner, he established VisibleVision in Berlin, which began life with a similar approach. 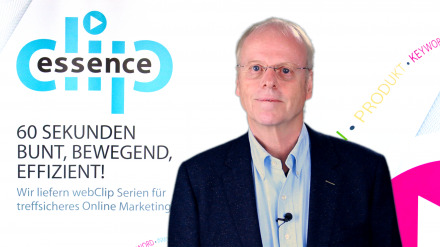 Building on these experiences and on a major part of the established infrastructure, Clipessence was founded by Ulf Beyschlag as the consequence of a change in strategy of VisibleVision. During the last years the scope of the Clipessence offering was extended by commercials, 360° videos, photo shootings and virtual photo tours. This allows Clipessence to offer a complete range of the visiual presentation of organisations, products and people. The internationally oriented core workforce at Clipessence offers a wide range of experience, not only in production but also in process management, computer science, and marketing. The many years of international experience – above all in management – is our guarantee for growth with stability and client focus.